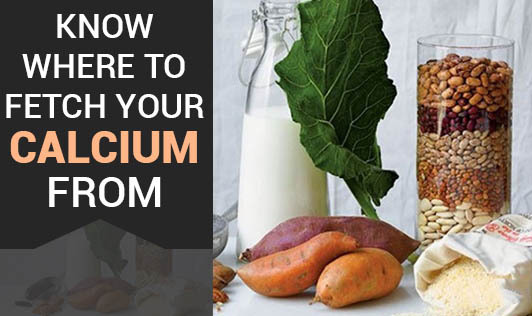 Calcium is one of the most essential minerals. It is required not only for strong bones and teeth, but it has many more important functions in our body. It is required for proper functioning of the nerves and muscles, it plays a role in blood clotting; it also has a role in secretion of a few hormones and enzymes. Milk, curd, yoghurt, paneer, cream, soy, soy milk, tofu, green leafy vegetables (beetroot greens, cauliflower greens, drumstick greens, fenugreek leaves, curry leaves), lotus stem, almonds, sesame seeds, gingelly seeds, garden cress seeds, dry coconut, broccoli, and fish in the non vegetarian sources. As there are health issues related to calcium deficiency, similarly excess calcium intake can also cause serious toxic effects on our body. So, before taking calcium supplements consult your Dietitian and/or Physician.